On November 9, we published a story on the then-current state of the legal battle raging between Silicon Knights and Epic Games for the better part of the last decade. The latter firm claims that the former breached the terms of a contract signed by the two companies that would allow Silicon Knights to use Epic’s ubiquitous Unreal Engine technology to power a number of its planned video games. In turn, Silicon Knights claims that Epic withheld valuable information about the Unreal Engine in an effort to ensure that its own games (most notably the Gears of War series) would be superior to any other action titles using the same engine. Regardless of which company you’re inclined to side with, it seems that the effects of this battle are finally hitting the common man. “MS & Silicon Knights have pulled all contents of Too Human (GoD, demo, vids, gamer pics, themes) from marketplace…” reads a tweet written by an intensely devoted Xbox Live Arcade fan calling his or herself “sacra.” The tweet also includes a link to the Too Human page on the official Xbox Live Marketplace and just as sacra claimed, the game is not there. Nor are any of the gamerpics or trailers for the game. Everything has simply vanished. We attempted to contact representatives from both Microsoft and Silicon Knights to get official word on the Too Human removal. We have yet to hear back from Silicon Knights, but Microsoft was kind enough to offer a succinct “no comment” on the issue. With this little to go on, we suspect Too Human’s disappearing act to be a part of a recent judge’s ruling in the Silicon Knights vs. Epic Games case: A court order handed down to Silicon Knights demands that the firm recall all extant copies of Too Human (as well as any other games using the Unreal Engine) still sitting on retail shelves. Though it wasn’t apparent at the time of the ruling, it makes perfect sense that this would also include digital copies available for download from the Xbox Live Marketplace. Keep in mind that the above is conjecture. 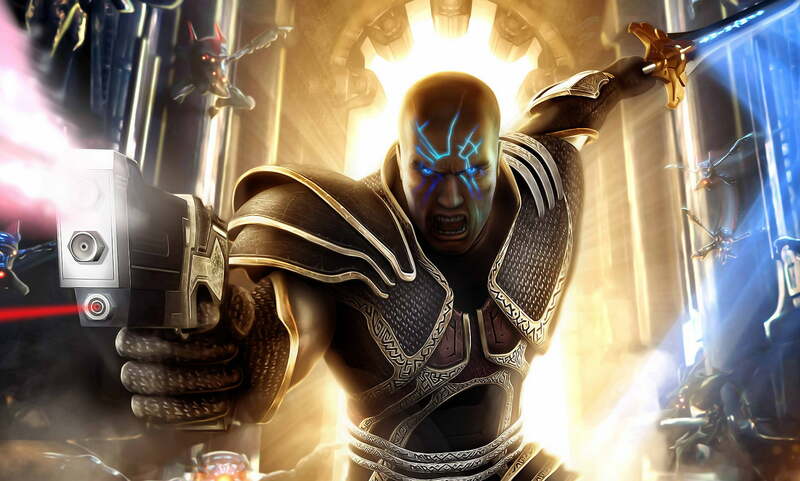 For all we know Too Human may have simply been pulled from the Marketplace due to its advanced age (Too Human was originally released in 2008). We hope to have more details on this story shortly, and will be sure to let you know where Too Human has gone just as soon as Silicon Knights, Epic Games, Microsoft or some wing of the United States judiciary branch opts to fill us in on what’s happened here. In the mean time, we suggest that those of you who already own Too Human be sure to keep your discs and the game’s packaging in pristine condition. If nothing else, this recall should drive up the price of the game among collectors. One company’s legal problems might just be your windfall.